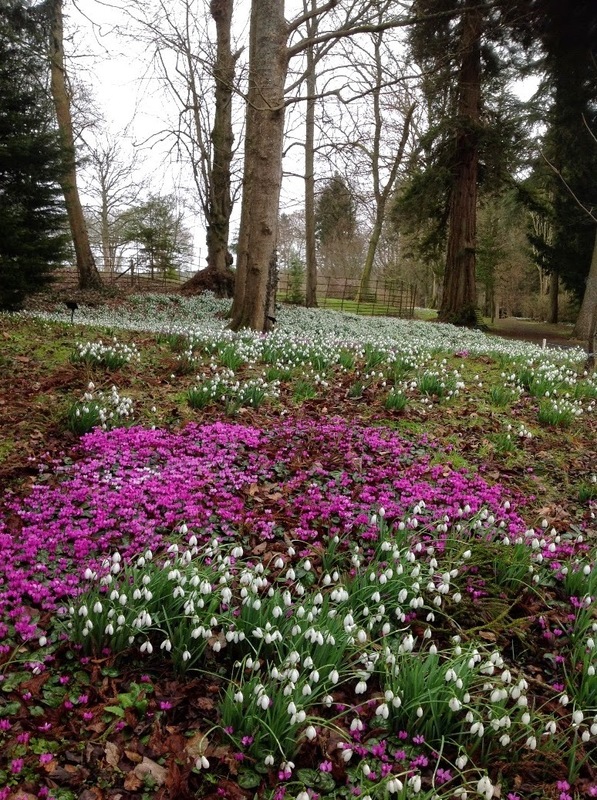 Cyclamen coum with Galanthus 'S. Arnott'. The Cyclamen have been spreading well now for about ten years, enjoying the thin, short turf. The reasonable weather of Saturday turned on Sunday to leaden skies; cold heavy rain began before lunchtime. It was an unfortunate day to be visiting Colesbourne Park, but it was pre-planned and my only chance this season. Despite the rain it was lovely to be back and top se how the garden continues to develop..
Several people have said that Colesbourne is looking better than ever this year and so it is. In a wild garden of this kind, where plants are left to multiply and spread, or are spread deliberately, it's inevitable that the show gets better. 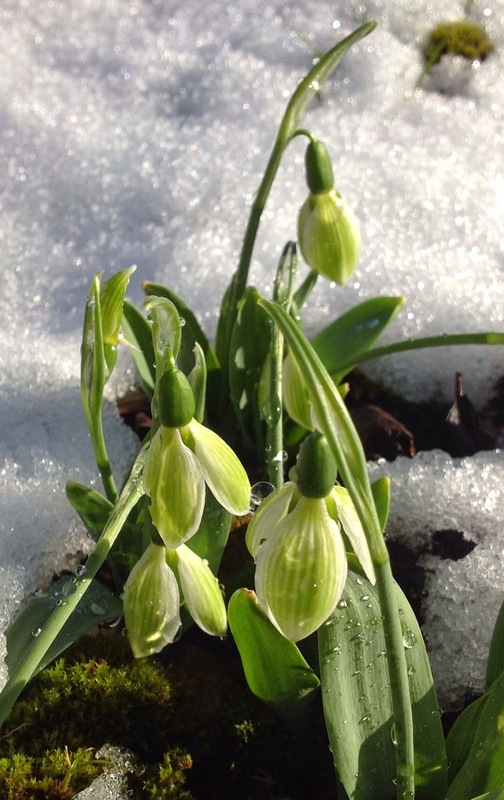 The single snowdrop of three or five years ago is now a robust clump, and the aconites, crocuses and cyclamen have had that time to produce annual seed crops and abundant seedlings. 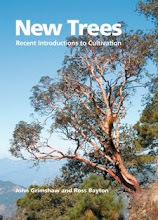 Trees and shrubs develop too, and there's a real pleasure seeing trees I grew from seed now reaching 5-6 m in height and fruiting themselves, making a significant contribution to the landscape. 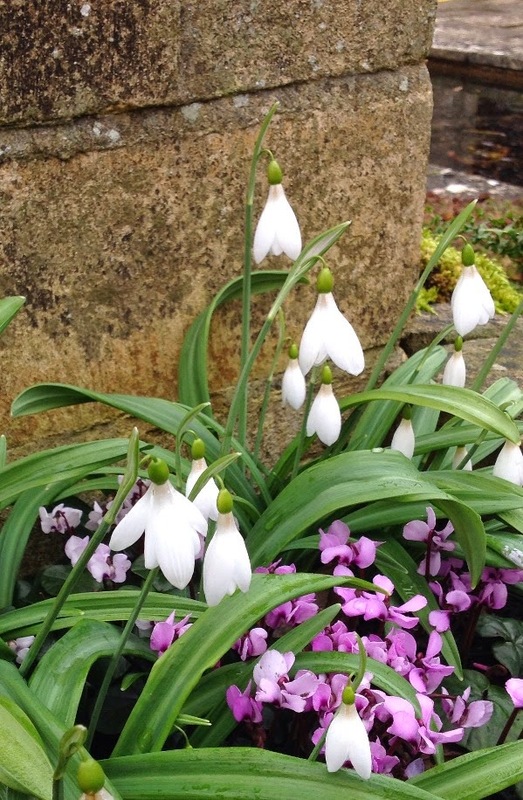 In the more formal area of the garden, around the house, my successor Chris Horsfall has made some lovely colourful plantings, blending other bulbs with snowdrops and foliage plants, that give great pleasure. 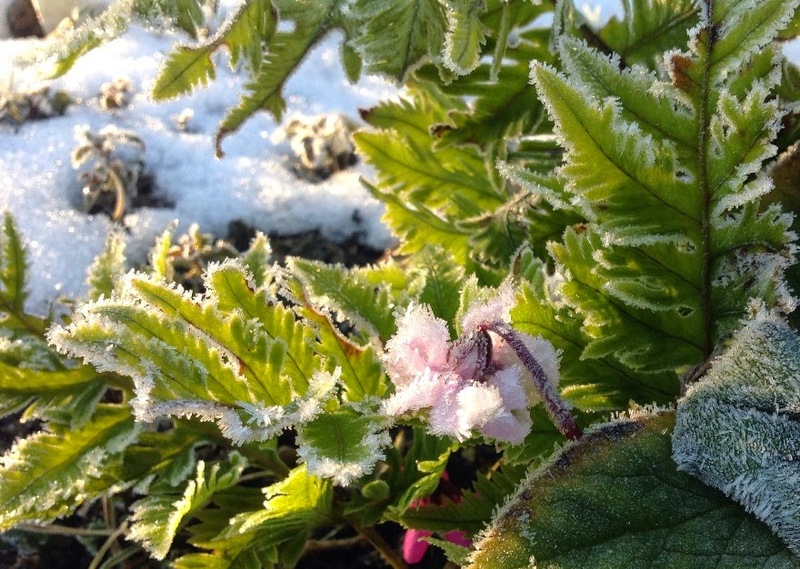 Here are some pictures that I hope give an impression of this great winter garden. 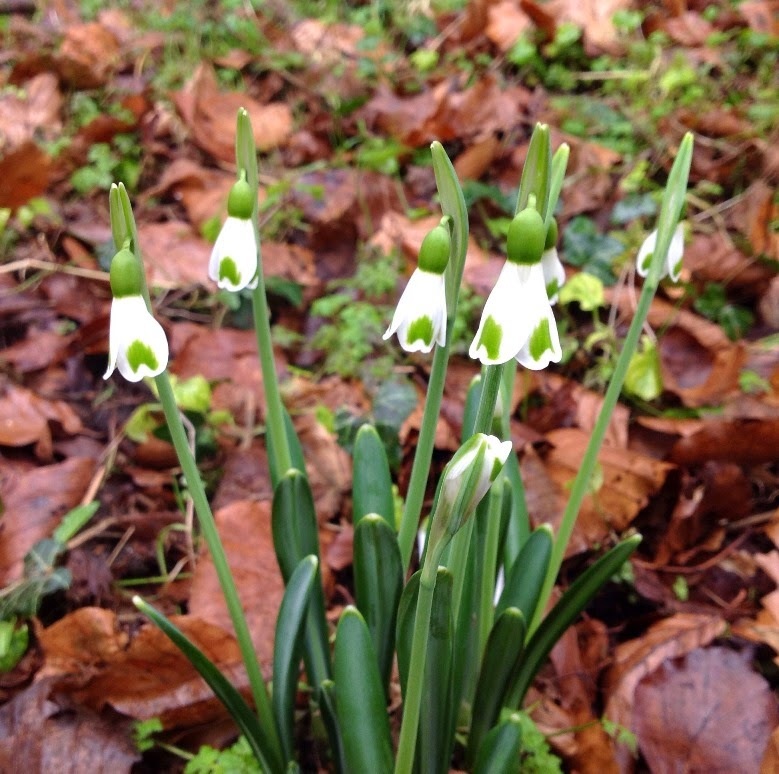 Galanthus nivalis in the wood near the entrance. 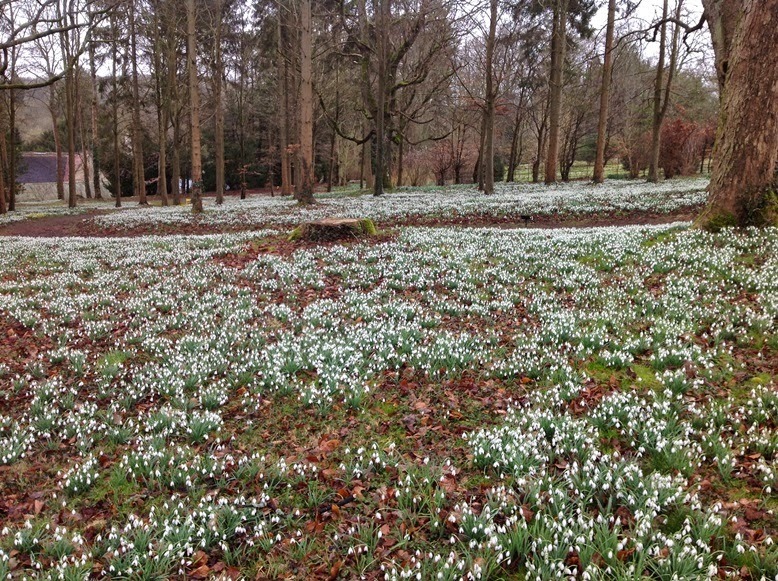 There were no snowdrops here twenty years ago! The Spring Garden, with 'S. 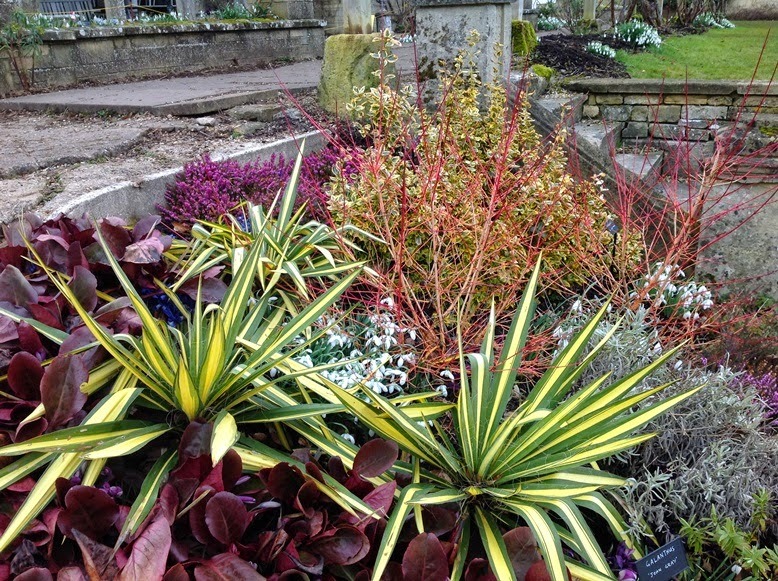 Arnott' and 'James Backhouse' in profusion. 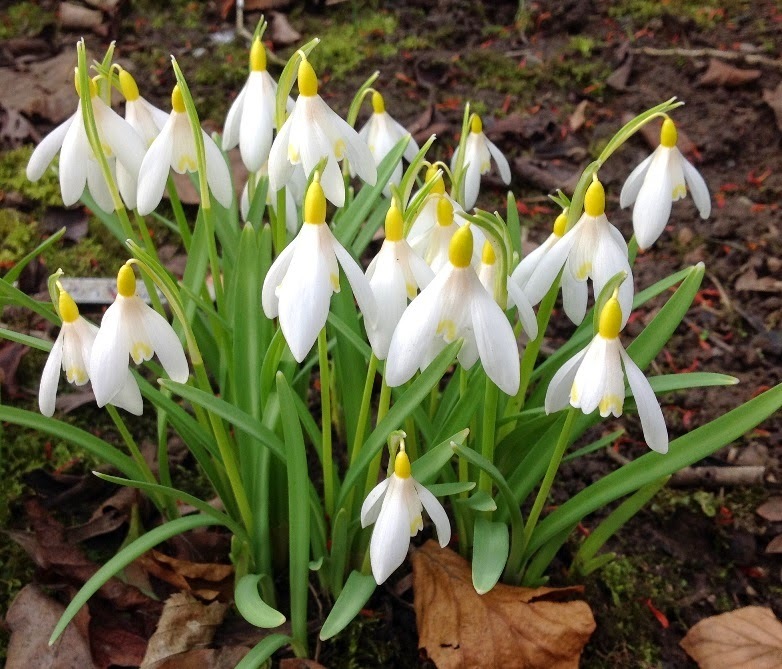 The original inverse poculiform snowdrop, G. plicatus 'Trym', planted in the grass in the hope that its genes will pass to seedlings. 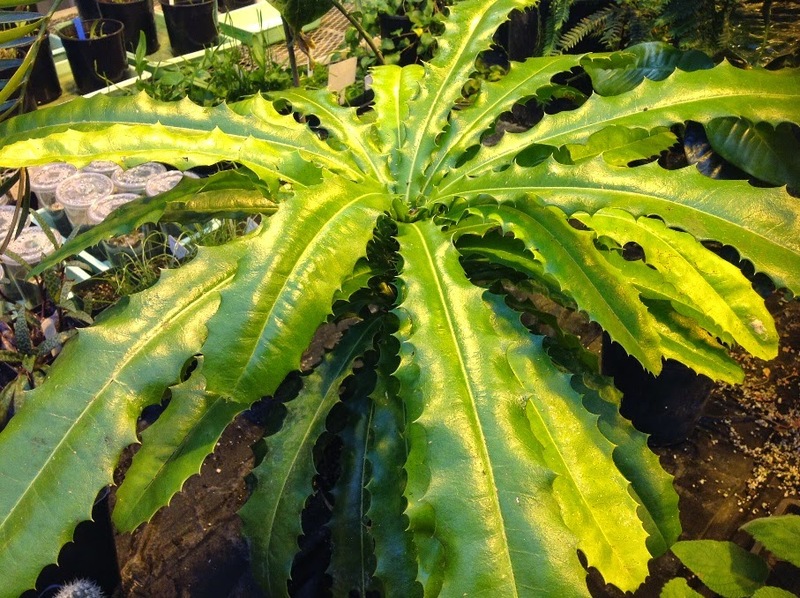 G. plicatus 'Seraph' is a distinctively shaped poculiform. 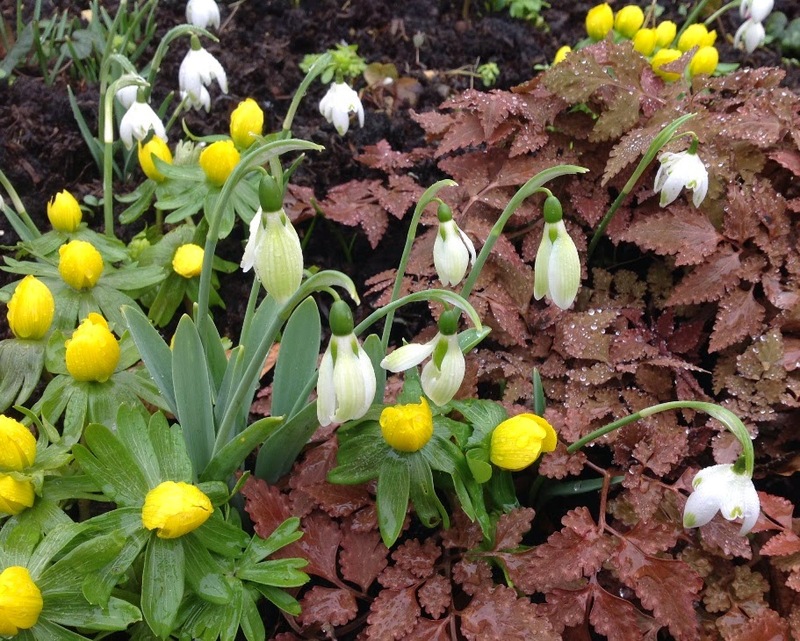 My 'Spring Bling' bed is developing nicely. 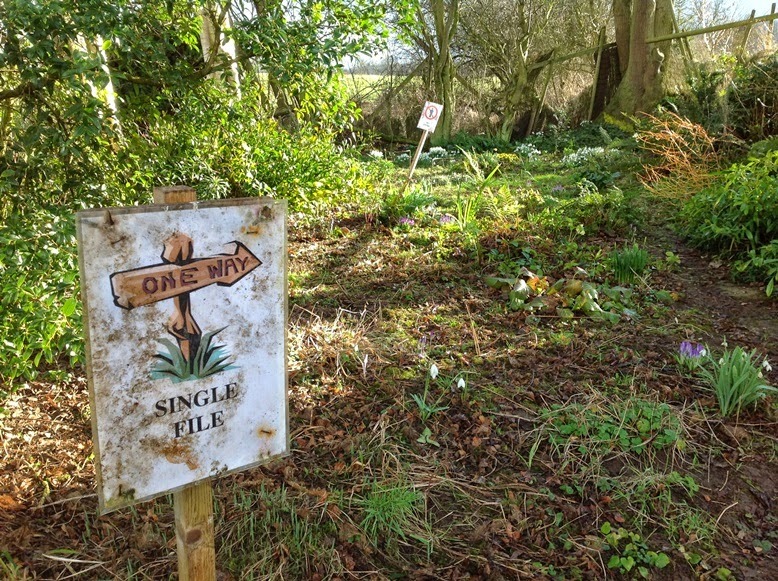 In November I reported the death of Margaret Owen, whose garden at The Patch, Acton Pigott, Shropshire, was a noted repository of good plants. 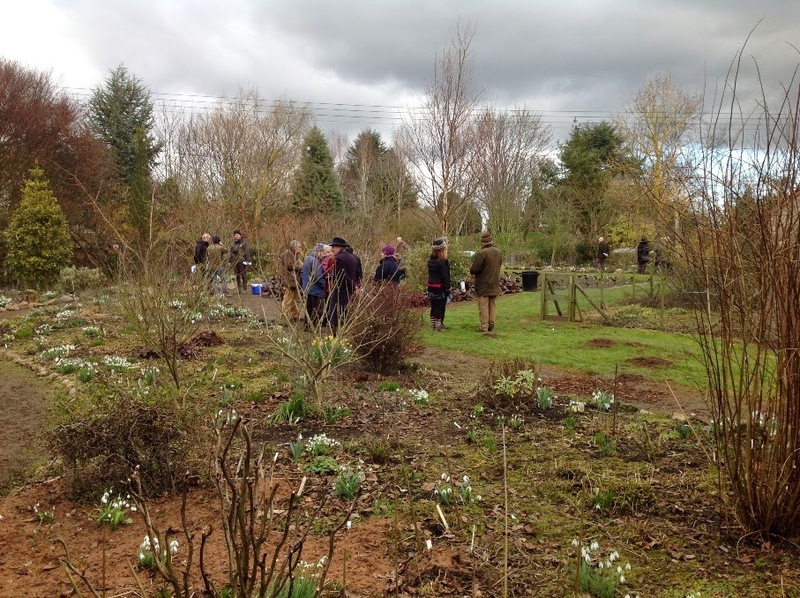 Thanks to the generosity of her family, and the kindness of a group of her friends, a large number of galanthophiles and other plantspeople were invited to the Patch last Saturday for a final visit and snowdrop lunch. A lot of work had been put in by Chris Sanders and others to remedy the effect of months of neglect, and the garden was looking as good as I've seen it for some years. 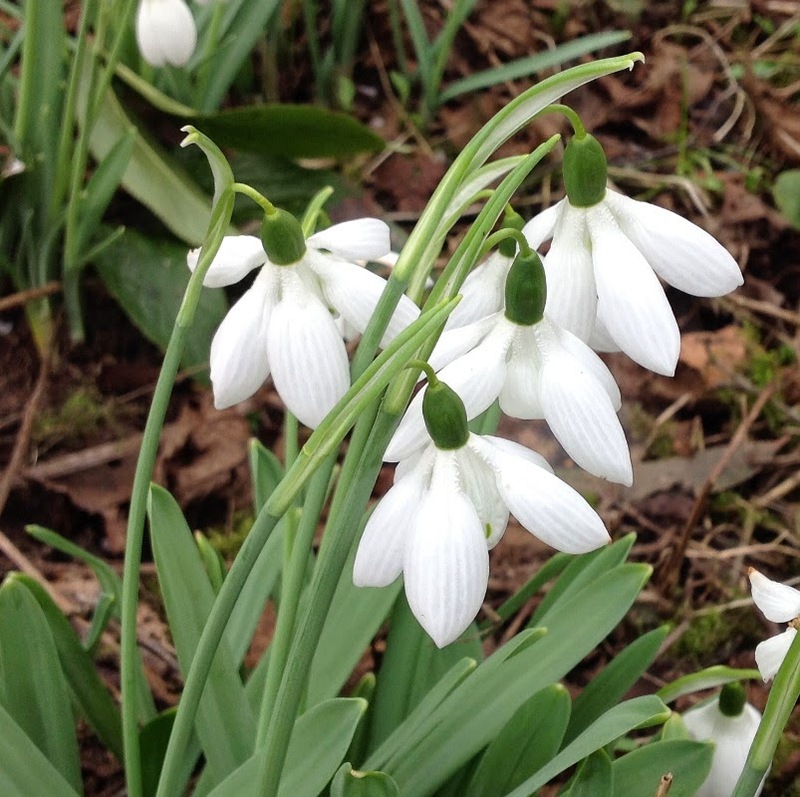 the snowdrops were at their peak, and showing off just how well they perform in rich Shropshire loam. 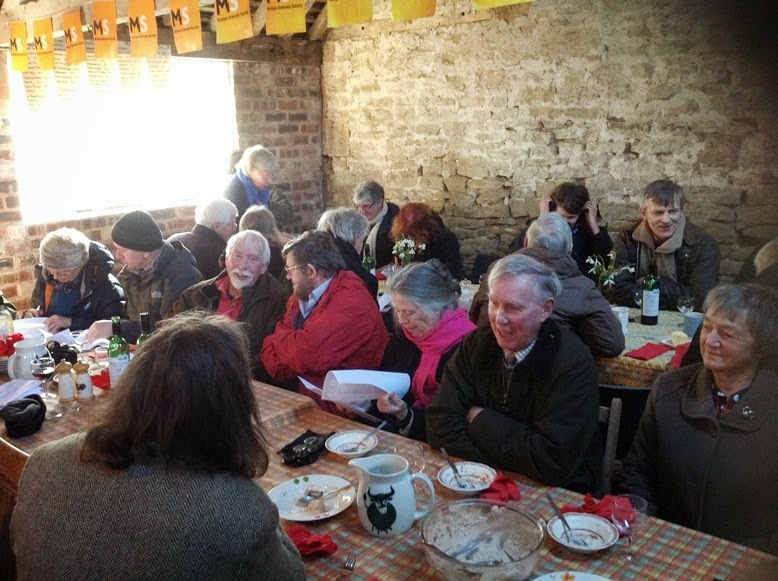 Although it was generally bright, it was a chilly day, with the occasional sleety squalls that mark all the best snowdrop parties, so it was a relief when we able to file into the barn and take seats for lunch, crammed in along the familiar narrow tables for an excellent meal. The enjoyment was bittersweet, however, as we all knew it was for the last time - though the memories will live on. 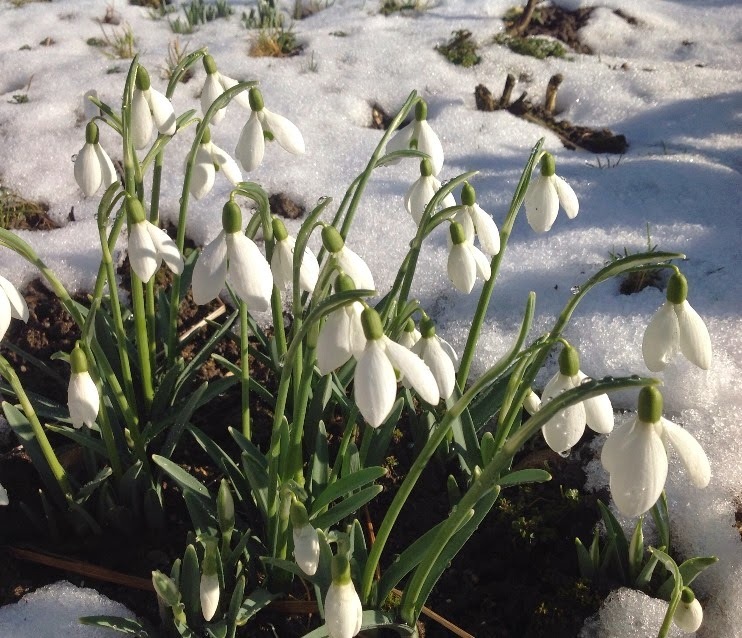 We were invited to list five snowdrops we'd like from the collection, which will be sent out in due course - that will be an exciting package! 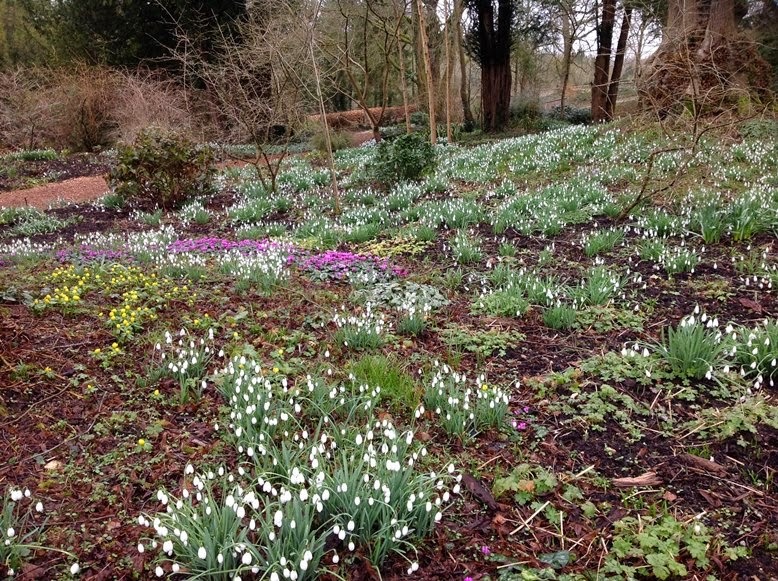 On the following day the garden was opened to the public for the traditional sale in aid of the Multiple Sclerosis Society, and many of the snowdrops were sold off, founding or enriching other collections - and thus gardens move on. Lots of old friends to talk to and catch up with - most of the 'inner segments' were present. Part of a lovely group of G. nivalis Sandersii Group 'Woodpeckers', a good growable clone. 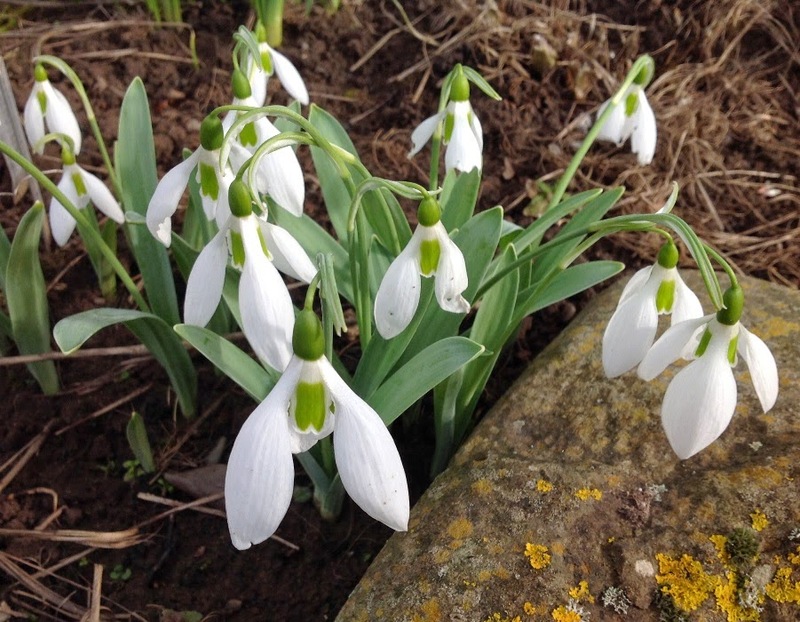 The snowdrop for which Margaret will be best remembered, named for her late husband, G. elwesii 'Godfrey Owen', with six outer and inner segments. Good conversation flowing at the crowded tables in the barn - about 70 sat down for lunch. A poignant reminder of Margaret: instructions on how to progress round the garden, in an attempt to stop people treading on her trilliums. 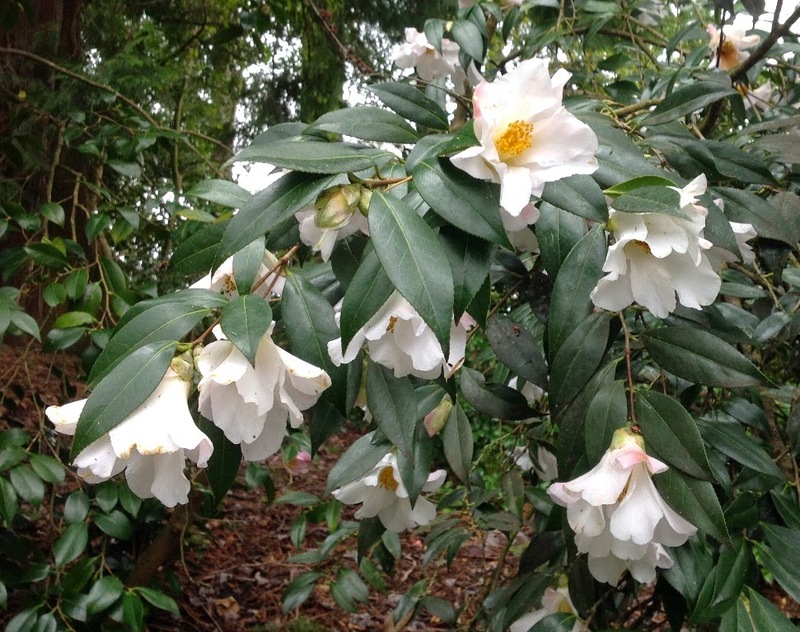 How have I failed to see Camellia × williamsii 'Hiraethlyn' before? Such a beautiful simple flower. I got back yesterday from the inside of a week in Seattle - far too short a time sandwiched between long flights. 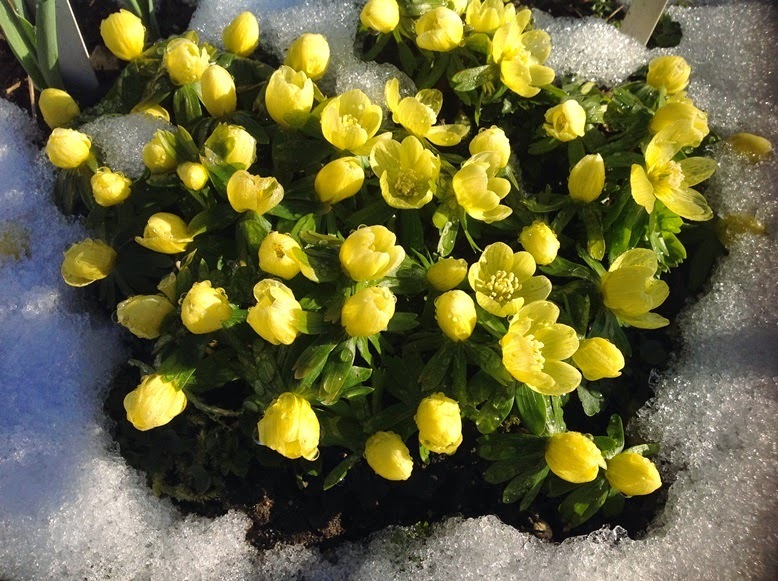 The trip was primarily for me to attend the Mahonia Summit, of which more anon, but it gave me time to visit various gardens and to meet and make friends along the way. On the rather overcast afternoon of Wednesday 11th I went with Ross Bayton and Riz Reyes to the University of Washington Botanic Gardens, which have several sites. We started in the arboretum, generally known as the Washington Park Arboretum, which extends over 230 acres and has many fine and interesting trees and other plants. Some geographically themed areas are in development, though the maintenance of other parts is somewhat in arrears. We could only see part of it in the time available, but it gave an idea of the diversity of plants there. 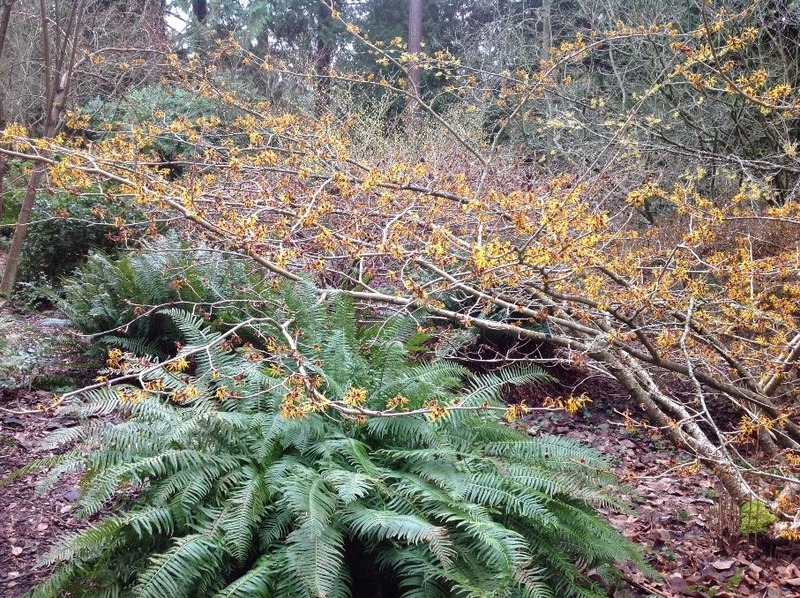 Hamamelis mollis in the Witt Winter Garden, with a large clump of the ubiquitous fern of the Pacific Northwest, the handsome Polystichum munitum. 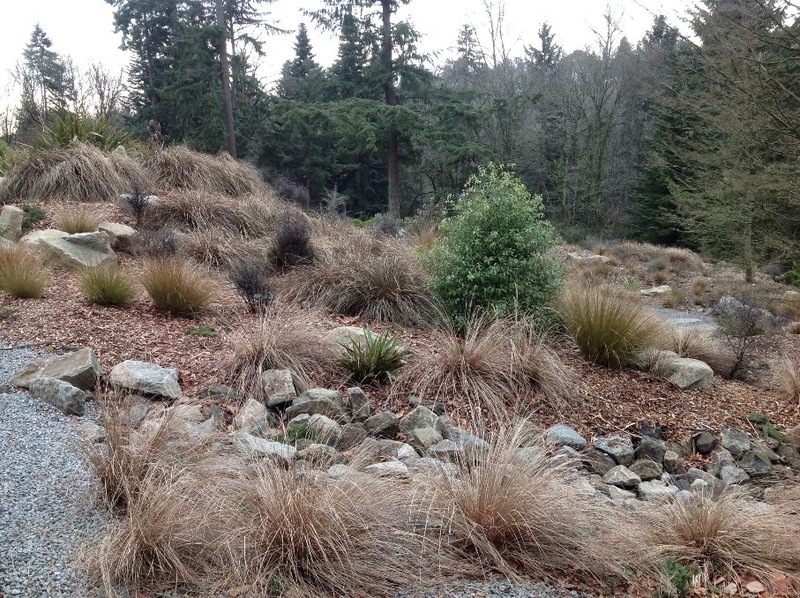 The New Zealand garden is the best developed of the geographical areas so far, presenting the typically drab shades of NZ vegetation over a generous space. 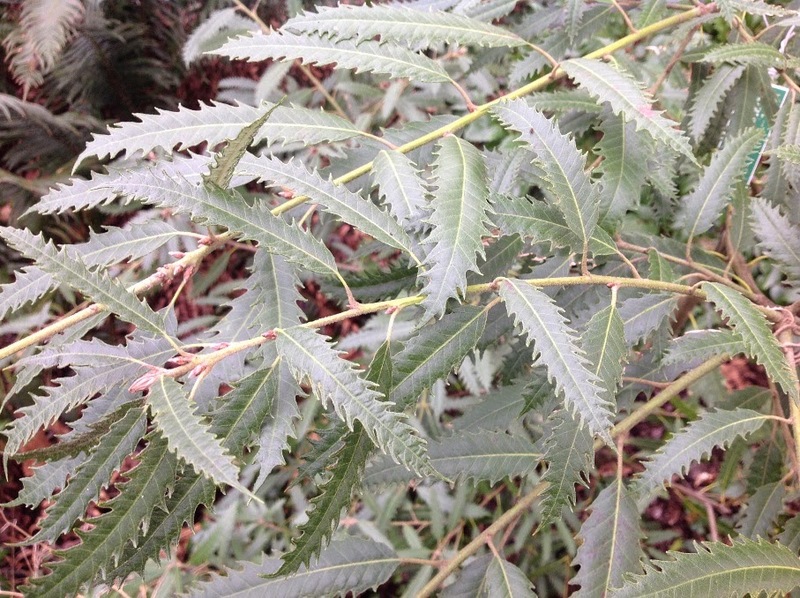 A young specimen of the rare Notholithocarpus dealbatus f. attenuato-dentatus, with strongly toothed instead of more or less entire leaves, was an interesting sight. 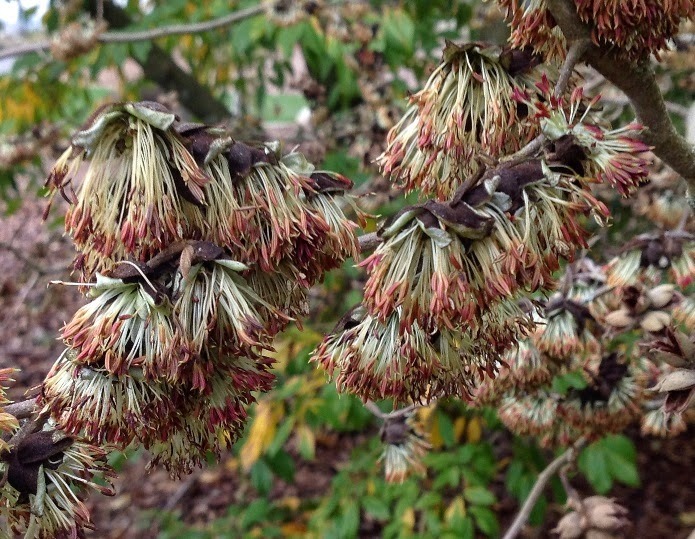 The bigeneric hybrid ×Sycoparrotia semidecidua was in full flower on large trees, alongside fine specimens of its parent Sycopsis sinensis, also flowering freely - but no Parrotia persica was to be seen. Making a change from floating hellebore flowers, a selection of passionflowers in the greenhouse. 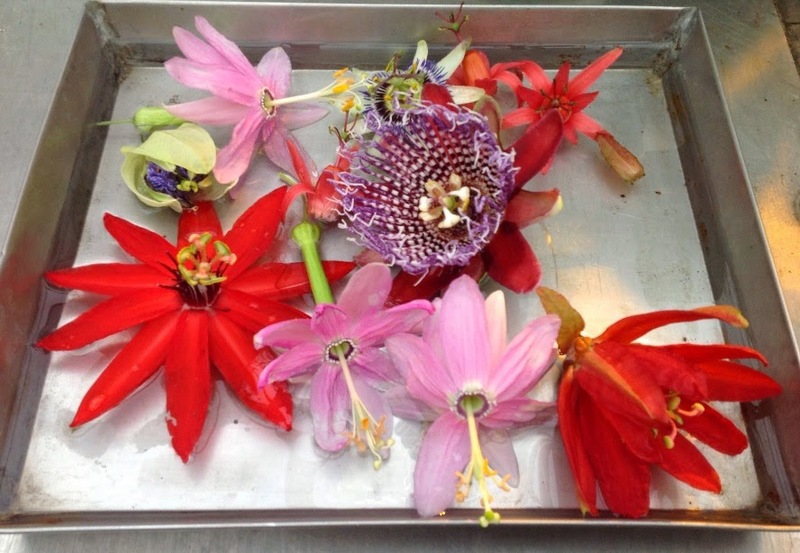 Researchers are studying them to try to understand pollination in the diverse flower forms. After the arboretum we went over to see the greenhouses on the main university campus. 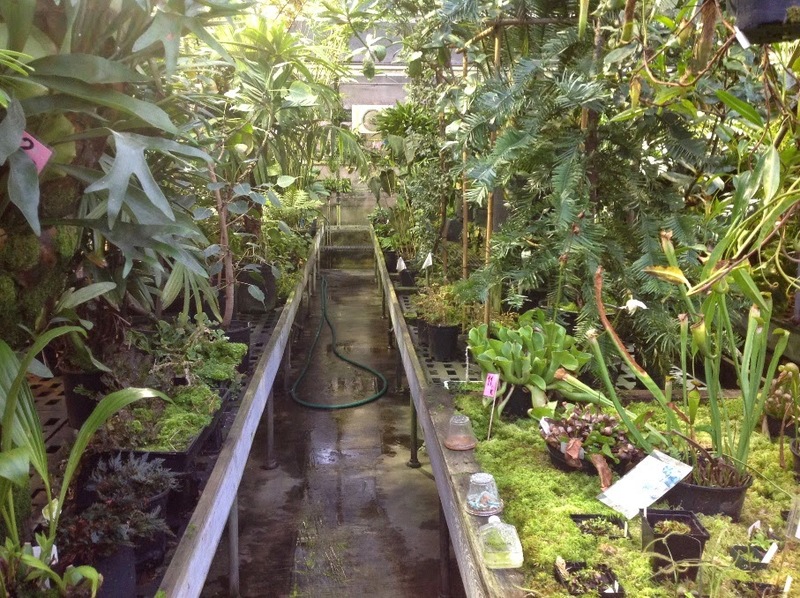 Serving both the research and teaching sides of botany and horticulture at the university, they contain a wonderfully eclectic and rich collection of plants, in a rather old-fashioned jumble - or jungle. With a strong emphasis on the evolution of plants there are many real oddities there, including Amborella, the most primitive of angiosperms, which (as with many other things) I'd never seen before. 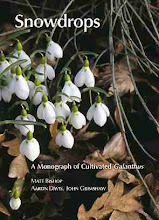 Worryingly, this remarkable collection is under threat; a new greenhouse is promised, but it is to occupy the current site and it it is not at all clear how the plants are to be maintained in the interim, nor what the university will decide for its policy on maintaining the collection. It would be a great pity to lose such a resource. Not least of the botanic marvels there is a specimen of the Miracle Berry, Synsepalum dulcificum. The small red fruits of this contain a glycoprotein called miraculin, which when swished around in the mouth binds to taste receptors, resulting in the perception of even sour things tasting sweet. I had never tried this before, so Terry Huang was sent up a ladder to find a berry, and someone else found a 'Meyer' lemon. The ritual was duly performed - and the lemon tasted so deliciously sweet that I scoffed the lot (barring one wedge that fell into a compost bucket). If offered the chance, try it! Benches crammed with interesting plants at the University of Washington greenhouse. Heliamphora hard by Wollemia on the right. 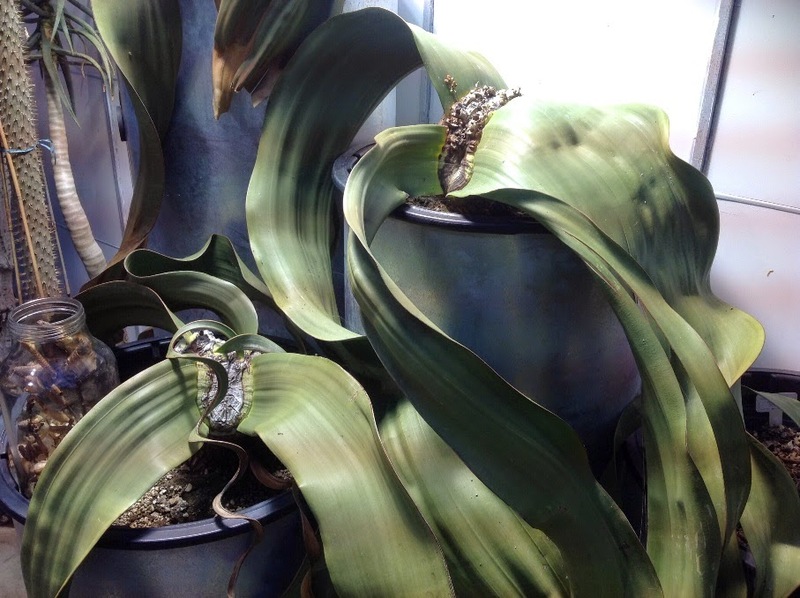 Superbly grown Welwitschia mirabilis, in great steel pipes for pots. I've never seen it looking better. These specimens are fertile, but this year's young cones were only just emerging. 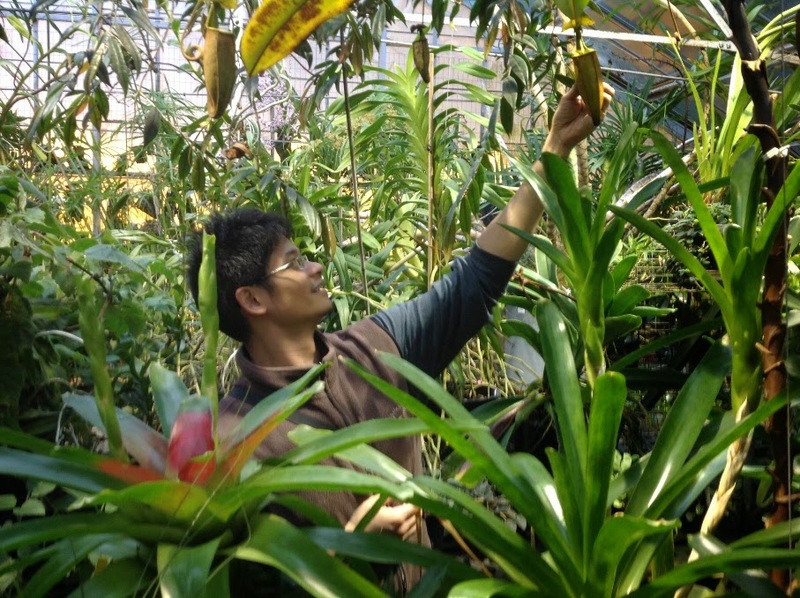 Riz Reyes examines a Nepenthes. 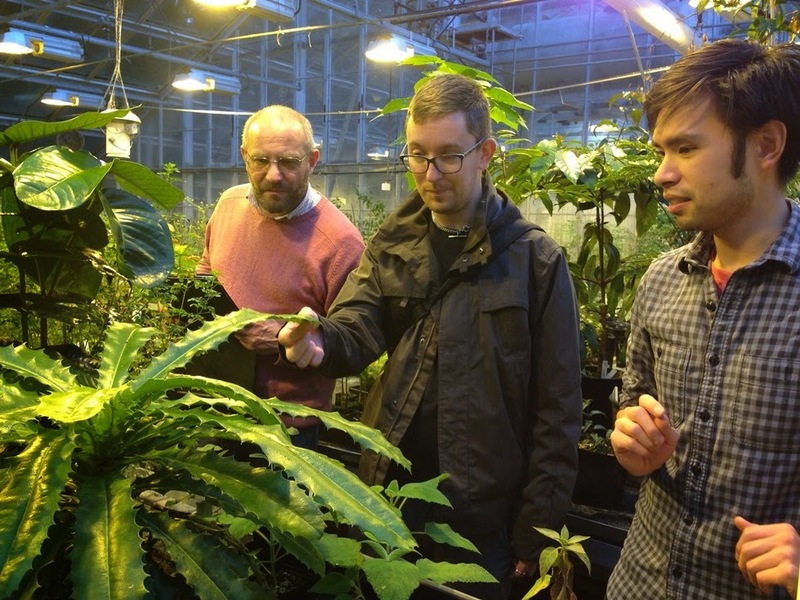 Terry Huang, Ross Bayton and I examine Theophrasta (pic by Riz Reyes). Supplemtyary lighting is provided, making photography rather difficult late on a dingy afternoon. Cyclamen coum and Polypodium cambricum Cambricum Group early this morning. After a long weekend away I returned home on Wednesday morning, travelling through green countryside until just past York. At that point snow began to appear and as I travelled further east it got thicker and thicker. At home, on the edge of the Yorkshire wolds, there were 7.5 cm of snow on the ground, and it was still falling. It didn't go on much longer, but it left a legacy that lingers. 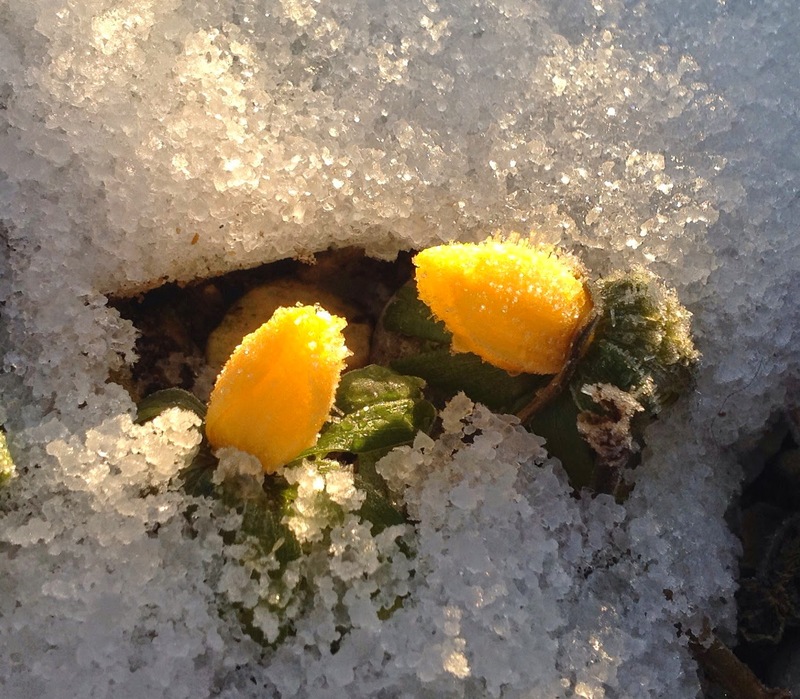 A lot melted yesterday, but then a very clear night produced a hard frost so it froze solid again. A beautiful hoar frost developed and in clear bright sunshine this morning everything looked beautifully crisp and sparkly. It remained windless, clear and sunny all day - by lunchtime it was (dare I say it?) 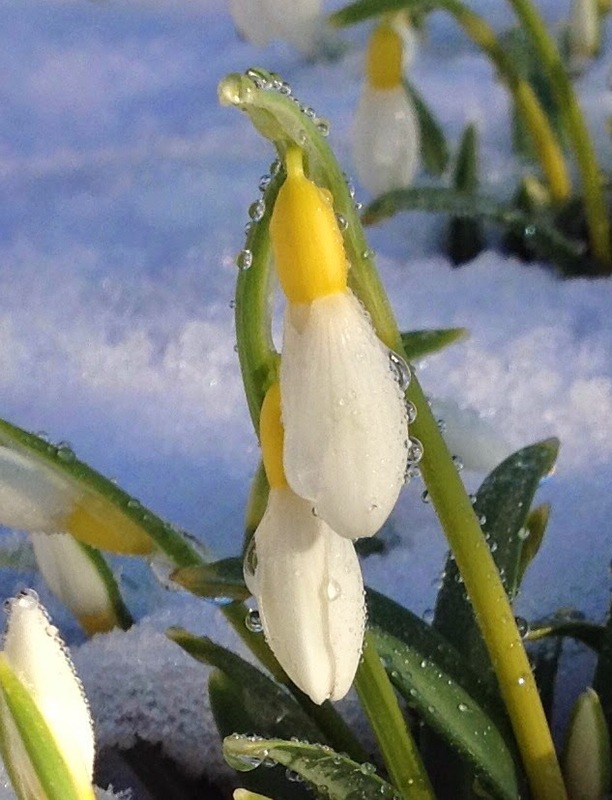 pleasantly warm, and for the first time this year the flowers could open. 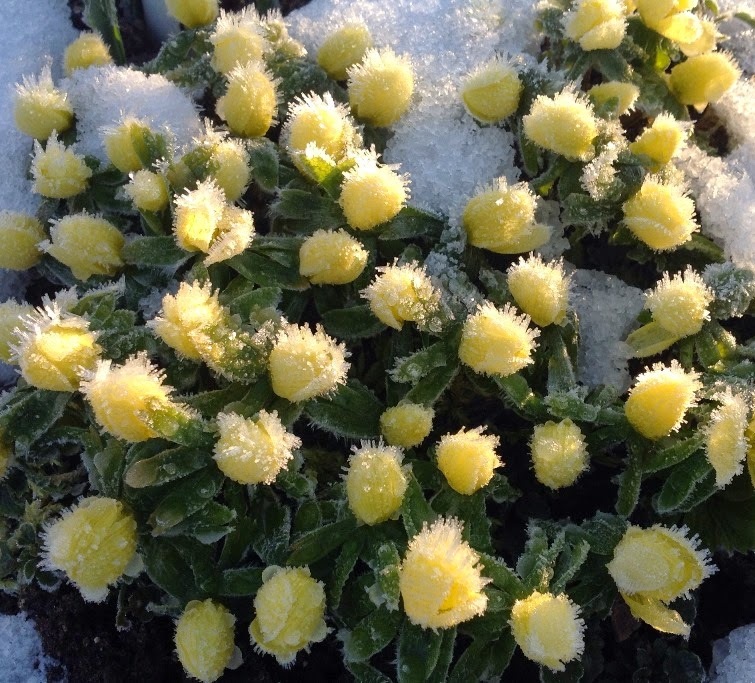 Hoar frost on E. h. 'Zitronefalter' early on. The same clump at lunchtime. 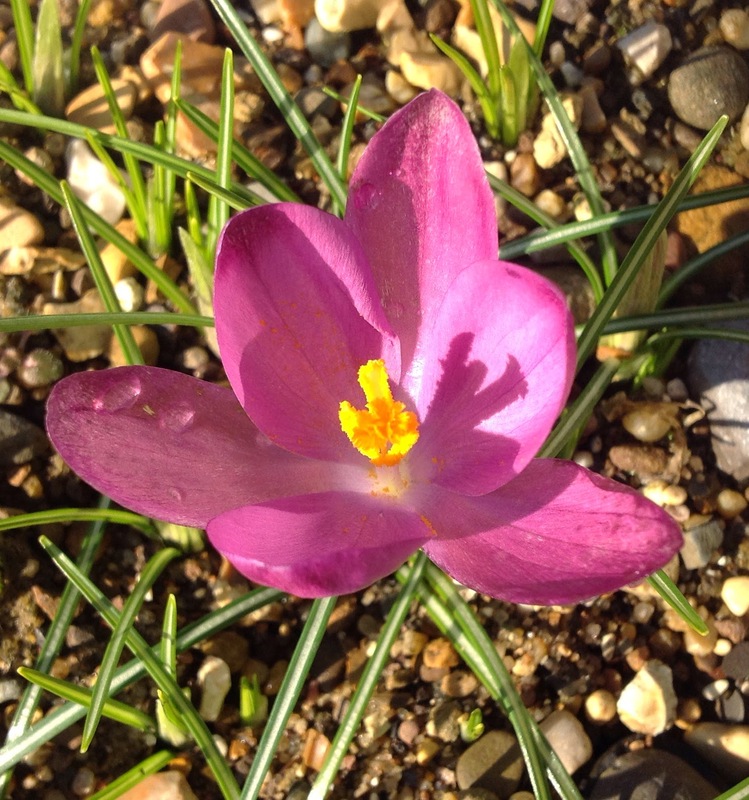 The first Crocus to open wide - a nice pink C. tommasinianus selection.